In Hindu iconography, the sword is not only a weapon symbolizing strength, valor, and a deity’s potential for destruction; but also a symbol of spiritual wisdom and enlightenment. In general, the longer the blade the more auspicious a symbol it is. A blade shaped like a bamboo-leaf is regarded as the most perfect. 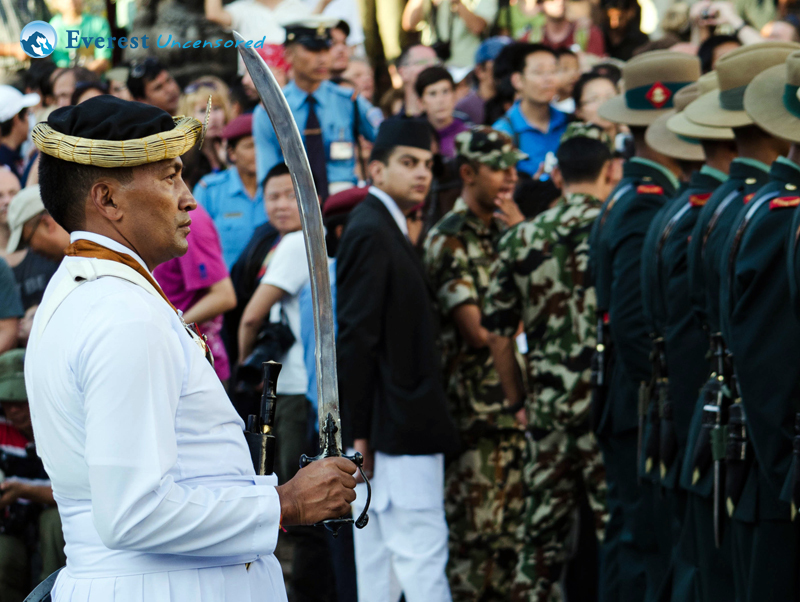 This picture was taken on the day of Indra Jatra in Kathmandu, Indra Chowk. 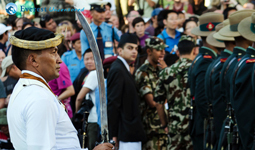 Khadga, the sword, is shown along with the Jatra while the Army Band parades with the chariot.